Out of all kinds of motor vehicle accidents, the most likely to result in serious injury is a motorcycle accident. Even if you’re wearing a helmet and other protective gear, you are still significantly more vulnerable than people inside of a vehicle. If you or a loved one sustained severe injuries in a motorcycle accident, please contact Johnson & Biscone, P.A. today at 405-232-6490. Our attorneys will review your case for free. We proudly serve clients in and around Oklahoma City, Edmond, Norman, and nearby areas of Oklahoma. Why choose Johnson & Biscone? Motorcyclists are subject to an unfair stereotype that they accept a higher level of danger than those in other vehicles. Bottom line: If you are hurt in an accident that wasn’t your fault, you have a right to fair compensation for your injuries. Most motorcycle accidents cause the rider to slide along the pavement or eject from the seat. Even if you’re wearing a helmet, heavy jacket, gloves, and other protective clothing, the likelihood of being seriously hurt is very high. Injuries like these can impact your ability to work and even function day-to-day. And, worst of all, the risk of fatality in motorcycle accidents is high as well. Attorneys at Johnson & Biscone, P.A. have experience pursuing wrongful death cases on behalf of families who lose a loved one in a motorcycle collision. Wear the right gear: Oklahoma law doesn’t require motorcyclists who are 18 and older to wear a helmet. But helmets save lives. It’s in your best interest to protect your head in the event of a motorcycle accident; doing so could prevent serious brain injury, lifelong disability, or death. Be mindful of other vehicles: Motorcycles tend to get lost in the blindspots of cars and trucks, but motorcyclists should also exercise caution when changing lanes and taking corners. Use caution at intersections: The most common cause of motorcycle accidents is when a car turns left in front of a motorcycle going straight through an intersection. There are many reasons these accidents occur, from driver distraction to poor judgment, but you can help prevent collisions by obeying the speed limit and being alert when you see a car in the opposite lane turning left. Be aware of the road: Cars and trucks usually pass right over gravel and other items on the surface of the road, but a fine patch of grit can lead to a motorcycle accident. The same is true for objects in the road, as well as precipitation. When you ride, pay attention to the road surface so you can adjust your speed and take other precautions as necessary. Ride safely: Just like car accidents, many motorcycle crashes are preventable with a little diligence. Many of the same rules apply, such as observing the speed limit, leaving enough room to brake safely, and not drinking and driving. Also, bear in mind that lane splitting is illegal in Oklahoma; don’t be tempted to weave between lanes of traffic just because your bike is smaller. Even the safest motorcycle rider isn’t always able to avoid an accident. Reckless drivers, unsafe roads, and bike defects can all result in an accident that isn’t your fault. If you or a loved one was seriously injured in a motorcycle accident, contact Johnson & Biscone, P.A. for a free review of your case. Photograph the scene: Using your cell phone, take pictures of your motorcycle and any other vehicles involved. Also snap photos of the road (especially any skid marks or other signs of the crash), the surrounding area, weather conditions, and anything else that seems relevant to the accident. Clear the road: You don’t want to suffer further injuries or subject your motorcycle to further damage in the traffic disruption that accompanies any accident. If your bike is still in the path of traffic, get to the shoulder as quickly as possible. Exchange information with the driver: Be sure to get license and insurance information for the drivers of any vehicles involved in the crash, even if their vehicle didn’t directly impact your bike. Call the police: When you dial 911 after an accident, ask for the police to respond as well as an ambulance. When the police officer arrives, he or she will speak to witnesses, survey the scene, and write a report that includes crucial details our lawyers can later use to build your case. Speak to bystanders: Anyone who saw the accident is a potential witness who can testify what happened should your claim go to court. One thing you should NOT do: Admit fault. Whether you’re speaking to the driver who caused the accident or an insurance adjuster at a later date, be careful not to say anything that suggests you were even partially responsible. Insurance companies will do everything they can to avoid paying a claim, and their agents will use your words against you. Our motorcycle accident attorneys, on the other hand, protect your rights after a crash. That’s why you should contact us ASAP to preserve your ability to pursue the compensation you deserve. 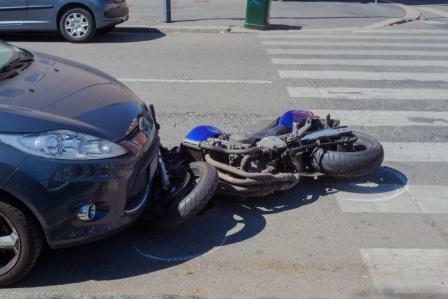 Punitive damages are sometimes available in motorcycle accident claims if the defendant’s actions are especially galling. And, should the accident result in the death of a loved one, our attorneys will pursue maximum damages on your family’s behalf through a wrongful death lawsuit. The defendant in most motorcycle crash lawsuits is the driver of the other vehicle. However, this isn’t always the case, which is why it’s important to contact an experienced attorney sooner rather than later. A motorcycle accident lawyer at Johnson & Biscone, P.A. will speak to you during your initial phone call and fully investigate the details of the case. We will identify and hold accountable all parties who may be responsible for your injuries, such the municipal agency or other party responsible for maintaining the road or the manufacturer of the motorcycle or a component part. In addition, not every motorcycle accident is caused by direct contact between a bike and another vehicle. No-collision motorcycle accidents commonly occur when a rider is forced off the road or has to take evasive action to avoid a crash. For example, say a distracted driver is weaving in and out of his lane because he’s on the phone. The motorcyclist in the next lane might have to veer sharply to avoid the other vehicle, increasing the likelihood that the motorcyclist loses control. Should the motorcyclist crash and suffer injury in taking this action, the distracted driver may be liable. Why Choose Johnson & Biscone as your Motorcycle Accident Lawyers? 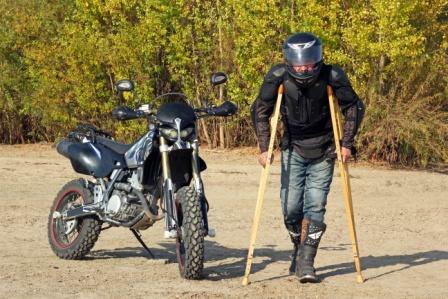 Pain and confusion are common in the aftermath of a motorcycle accident. 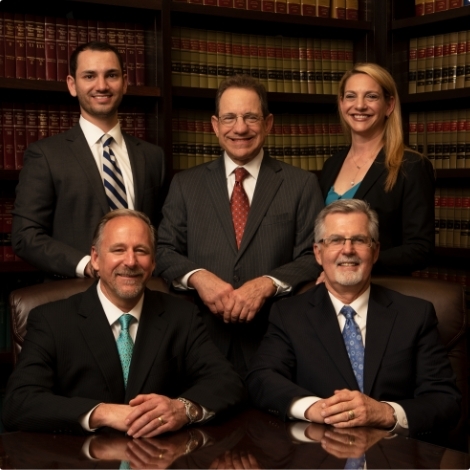 Here at Johnson & Biscone, P.A., our attorneys handle every step of your case so you can focus on recovery. Call 405-232-6490 today for a free, no-obligation consultation. The lawyers at Johnson & Biscone have nearly a century of collected experience representing injured clients. Our law firm serves clients throughout the Oklahoma City area, including Edmond, Norman, and all over Oklahoma.